The number of companies that have successfully listed in Europe recently, and the list of those that are expected to go public in the near future, is under-pinning indications of a very healthy stock market sector. Earlier this month, PWC reported that Europe had ended H1 2018 with 168 IPOs, up from 161 in H1 2017, raising a total of €21.8 billion – five per cent up on last year. The increase in activity compared to the same period last year was largely due to the strong first quarter of this year where European IPO values were boosted by the mega-IPOs of Siemens Healthineers and Deutsche Bank’s DWS Group, which both listed on the Deutsche Borse. While Ireland has been slower than other European markets on the IPO front, there are signs that this is changing. Just last month, Hume Brophy provided financial communication support for Yew Grove real estate investment trust (REIT), when they became the first listing on the Irish stock exchange since it became Euronext Dublin, with a dual listing on the Enterprise Securities Market (ESM) and the junior AIM Market in London. There are obvious advantages in launching an IPO, and going public can open up many doors for Irish companies, but it takes a huge amount of planning, organisation and teamwork. Preparing to go public goes beyond having audited financial statements, meeting with investment bankers, and telling the company’s story to prospective investors. The reality is that companies are essentially preparing for a whole new phase of corporate life. This is where strong financial communications support is critical in developing and sharing the right messaging, at the right time, to the correct audience. From our own experience in managing and supporting IPOs, Hume Brophy understands the value for business in getting this right, from the very beginning of the process to its conclusion, helping to ensure the IPO has a successful outcome and that, ultimately, a correct and targeted valuation is achieved for the business. While not all businesses are suited for an IPO – for many fast-growing private companies, an IPO can raise the capital needed to accelerate growth and achieve market leadership. It enables companies to use shares as a form of consideration in future acquisitions. 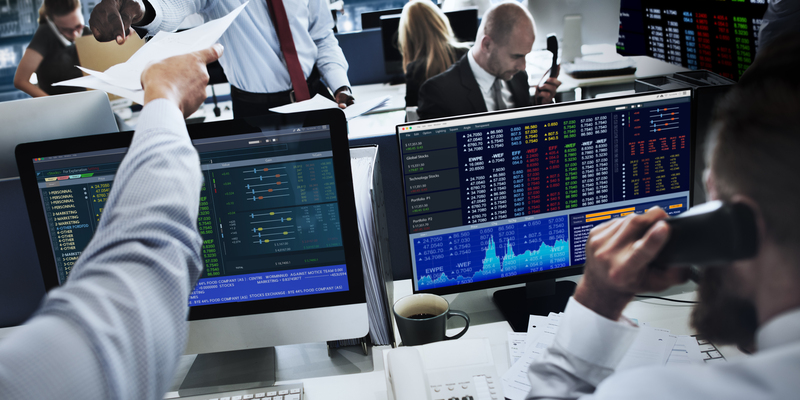 Many cite the accountability, scrutiny and regulatory demands, not to mention the unpredictable nature of capital markets, as the significant concerns when deciding whether to float, and this is where a reliable financial communications agency can be of crucial importance. When listing, a company immediately becomes susceptible to far greater scrutiny from all sides, with interest coming from potential investors, brokers, media, previous investors, and industry experts. This creates the need for well-thought-out and strategic communications. Understanding what questions will be asked by which stakeholder group, how to respond and how to ensure that the right message is getting across will be crucial for businesses to consider. At the start of the floatation process, it’s important for businesses to clearly communicate a strong equity story to investors. This should include an examination of the market opportunity, a credible long-term growth strategy and an assessment of the competence of the management team. Careful profile-raising exercises around the IPO are beneficial in alerting the market to the attractiveness of the company and, in particular, the strength of the board. A company preparing for an IPO should never underestimate the need to manage its image carefully and consistently because how the market perceives the company is vital to how well it will thrive and grow on the stock market, not to mention determining if the launch goes ahead in the first place. If investors and the market don’t like the story being told, they won’t go for it. Investors base a large portion of their investment decisions on financial factors, the quality of management, the brand and the corporate governance of a business. Hiring a financial communications firm will help to promote the business and its potential in the wider market and for the longer term. No two IPO scenarios are the same. They are always set against the context of dynamic market conditions and the communications strategy must reflect this. So, it pays to have expert consultancy from a firm that understands the business and the market, has the right experience and knows the nuances of bringing a company to IPO. Strong relationships with key business and industry media will play a key part in the process. The Irish market is likely to be one of the most affected by Brexit. What remains to be seen is whether the effect will be positive or negative. Ireland may well benefit from being a clear viable alternative – or addition to – the UK market, and a gateway to the rest of Europe. This could see an increasing trend of IPOs or secondary listings in Ireland. The turbulence caused by Brexit in the markets, coupled with growing uncertainty and frustration from businesses, means it is becoming even harder to predict what this means for international markets. For those considering an IPO launch, what is certain is that an experienced financial communications agency, with a good reputation and strong media relations, is essential for achieving a successful IPO. And this is true in any market – local knowledge with an international perspective is key.